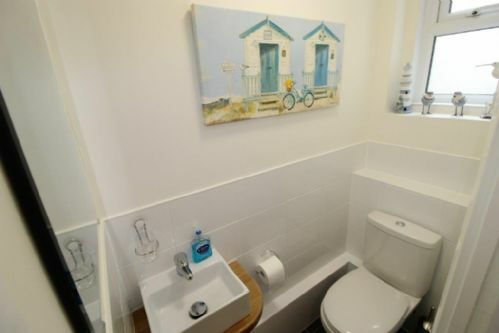 Brand new two bedroom, two bathroom holiday apartment located close to Bournemouth Town Centre and the beautiful sandy beaches at Eastcliff - Sleeping up to 6. 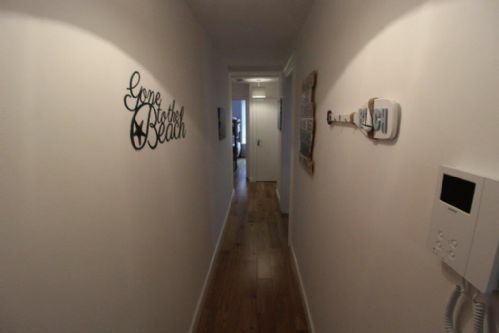 The apartment has been furnished to a very high standard throughout offering fantastic self catering holiday accommodation. 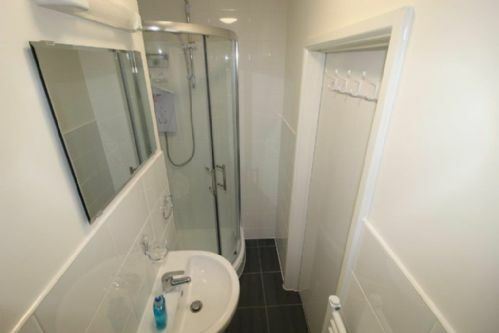 It is located within a short walking distance to both the beach and Bournemouth Town Centre and benefits from an off road parking space. 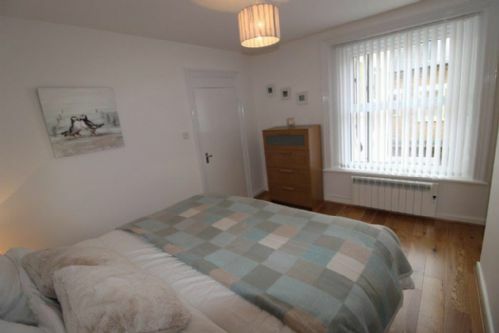 There are two bedrooms, the main bedroom has a super king bed which also converts to two single beds if required, chest of drawers and bed side cabinets and benefits from an en suite shower room, the second bedroom is a single furnished with bunk beds, wardrobe and a bed side cabinet, also benefiting from an en suite shower room. 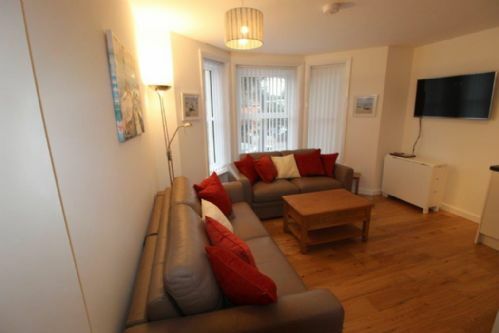 The apartment has a lovely open plan kitchen, living/dining room with beautiful Italian sofas and sofa bed providing further sleeping for an additional 2, coffee table and dining table and chairs accommodating up to four. 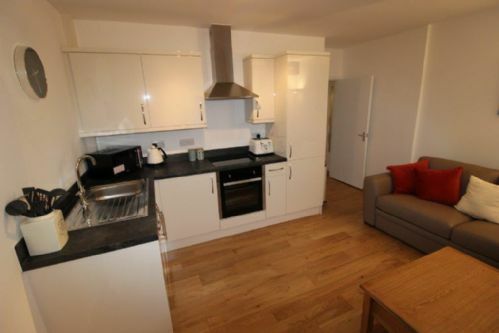 The kitchen is contemporary and has a washer/dryer, fridge/freezer, oven & hob and extractor fan. * Double bedroom with en suite shower * Single bedroom with en suite shower * Sleeps up to 6 * Open plan lounge/kitchen * Fitted kitchen appliances * Beautifully furnished throughout * New electric heating and double glazing * Off road parking for 1 car * FREE WIFI Please note: A security deposit of £75 is required and must be paid along with the final balance. The apartment comfortably sleeps 4 people and we can provide cots for an additional £20 each if required - Linen and towel sets can also be provided. Please ask for details. 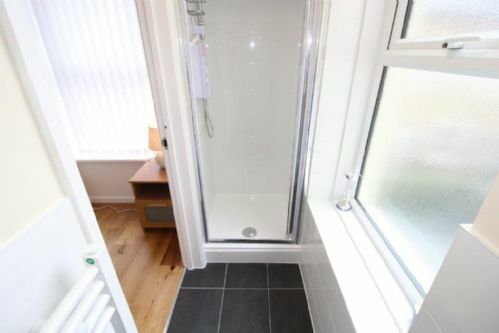 Brand new two bedroom, two bathroom holiday apartment located close to Bournemouth Town Centre and the beautiful sandy beaches at Eastcliff. The apartment has been furnished to a very high standard throughout offering fantastic self catering holiday accommodation. 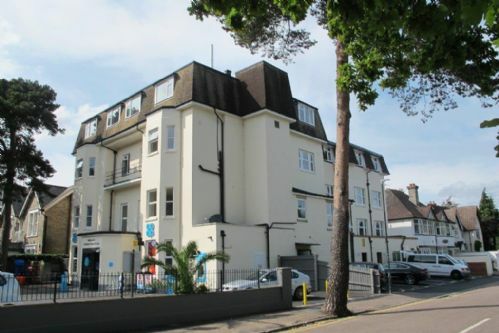 It is located within a short walking distance to both the beach and Bournemouth Town Centre and benefits from an off road parking space. 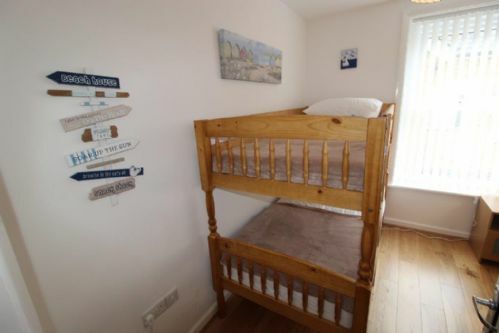 There are two bedrooms, the main bedroom has a super king bed which also converts to two single beds if required, chest of drawers and bed side cabinets and benefits from an en suite shower room, the second bedroom is a single furnished with bunk beds, wardrobe and a bed side cabinet, also benefiting from an en suite shower room. The apartment has a lovely open plan kitchen, living/dining room with beautiful Italian sofas and sofa bed providing further sleeping for an additional 2, coffee table and dining table and chairs accommodating up to four. The kitchen is contemporary and has a washer/dryer, fridge/freezer, oven & hob and extractor fan. A security deposit of £75 is required and must be paid along with the final balance. 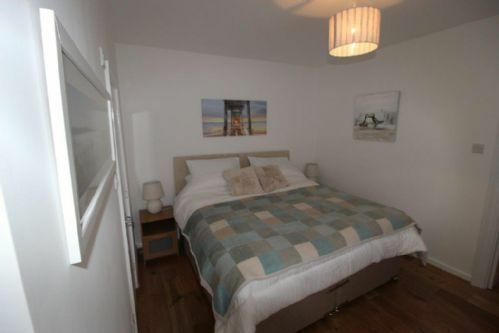 The apartment comfortably sleeps 4 people and we can provide cots for an additional £20 each if required - Linen and towel sets can also be provided. Please ask for details.